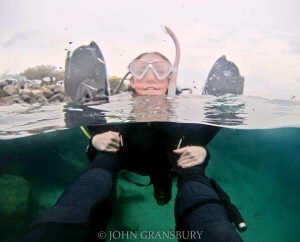 The Professional Dive Services PADI Open Water Dive Course offers maximum flexibility and enjoyment. 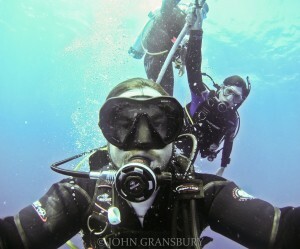 The new PADI eLearning system now makes it possible to do your open water course in as little as two days. 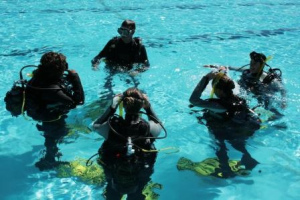 We are one of the few companies in Brisbane that offer this format to cater to all the time poor divers. We ONLY teach a maximum of 6 students in an Open Water course to ensure that you get the most attention from your instructor. Many of our competitors claim that they only teach a maximum of 6 but have proven many times that this is not the case. Don’t compromise your training and experience! Diving is an amazing sport which will have you hooked! Did you know that even if you dived twice a day for the rest of your life you would still not even dive 1% of all of the dive sites in the world!? The PADI Open Water dive course will set you up to access any site up to 18 metres deep! Your theory will be done via eLearning and not in a classroom. Theory component of this course will be done prior to the course and in your own time. The eLearning option allows you to complete the theory in the comfort of your own home, in your own time and at your own pace. It also allows us to off this as a 2 day course as opposed to a 4 day course. Our staff are always available via mobile should you need assistance with the theory, however it is relatively straight forward. – The day will start off with the completion of any relevant paper work, then you will need to complete a 22 question knowledge review. – Once this has been completed you will participate in five (5) confined water dives in the pool. – After the confined water dives in the pool, Professional Dive Services will transport you to the Gold Coast Seaway where you will complete one (1) open water dive. – The timings of the day will be determined based on tide and pool hours. – You will be transported to the Gold Coast Seaway where you will complete the last three (3) open water dive to complete your qualification. – The timings of the day will be determined based on tide hours of the Gold Coast Seaway. – Student needs to be comfortable in the water and have some basic swimming skills. At a minimum, you must be able to complete a 200 metre swim and float for 10 minutes. – The minimum age for scuba certification is 12 years of age for the Junior Open Water Diver or Scuba Diver certification (adult- supervised diving) and 15 years of age for the Open Water Diver or Scuba Diver certification. Our Open Water Course are scheduled around the slack high tide of the Gold Coast Seaway and therefore the times for the course vary. The exact timing for the day will be sent to you via email prior to your course, however please allocate two full days for the course. If you answer no to these items, it is not compulsory to get a dive medical, however we strongly recommend it for your (and our) piece of mind. Simply download the attached booking form, complete all the required fields and send back to [email protected] Once this form and the deposit/ payment have been received, we can send you the eLearning to the email address provided. Please do not hesitate to contact us if you have any questions or require assistance in purchasing a mask, snorkel, fins and boots.